We've compiled a list of the most Frequently Asked Questions from guests travelling with us. WHAT DO I NEED TO CONSIDER AND KNOW BEFORE I BOOK? Are the tours suitable for infants? Due to the extreme weather conditions in Lapland, we generally don’t recommend our tours for infants under the age of two since a great deal of time will be spent outdoors in Arctic conditions. If you choose to travel with an infant you may have to miss out on some activities if advised by the staff in resort. Infants are charged at £80 on short breaks and £40 on daybreaks. In addition, we are unable to guarantee provision of thermal suits and boots for infants so these will need to be provided by you. Please also note that there are no baby changing facilities at any of our locations. Is the trip suitable for disabled, pregnant or elderly visitors? It is imperative that you speak to a member of our team on 01865 265200 prior to booking. We cannot provide any special assistance or care and we cannot guarantee specially-made vehicles. In addition, we do not generally recommend our trips in the Arctic Circle for wheelchair users given that we operate in very remote, wilderness locations where snow can be up to four feet deep and paths are not always cleared, making the terrain difficult to traverse. Plus, not all of the activities would be accessible as some require travelling through to the snow to get to. With regards to those who are pregnant, our snowmobile and husky safaris would not be suitable due to the vibrations of uneven tracks and the exhaust fumes of the snowmobiles, and you should always consult a doctor before travelling. How long are the included activities? Day break activities are ‘taster’ sessions and generally last no longer than 10 minutes. Those on a short break will benefit from longer excursions of up to 40 minutes. Lengths can sometimes vary dependent on weather conditions or circumstances beyond our control. Transfer times to the activity sites can vary between 15 to 60 minutes. If we are on a short break, what is there to do when we aren’t on one of the included excursions? We recommend taking items to keep children entertained whilst journeying and for time at leisure when you are not outside sledging or exploring on foot. Can I book optional activities in resort? Yes, but to avoid disappointment we recommend that you book these at the time of your reservation or as soon as possible before travel as places are limited. Please note that all excursions are non-refundable and non-transferable. Transun accepts no responsibility for excursions which are booked through other providers. If this were to happen on your outbound day break flight, then every effort would be made to ensure that the delay time was made up by a later return departure time from Lapland. In the unlikely event that a day break flight is delayed by more than three hours, the trip may have to be cancelled and you will be offered an alternative trip or a full refund of monies paid to us. In the event that the delay is less than three hours and the flight takes off, every effort will be made to deliver the programme as planned but it may be necessary to reduce the time spent on the activities or on occasions to omit some of them. Please note that no compensation will be paid in these circumstances. In the event that your aircraft is diverted at your destination airport we will endeavour to replicate to the greatest extent possible the programme you would have received. Where this happens no refunds will be due. If no arrangements can be made you will receive a full refund minus a deduction for the airfare. What happens if there is a problem on the flight departing from Lapland? Should it not be possible to return home from the destination on the programmed evening departure due to reasons beyond our control (force majeure - see terms and conditions), Transun will make every effort to accommodate passengers overnight in accommodation of a reasonable standard. The company’s liability will then cease and no compensation will be paid. What happens to my activities if there is not enough snow or it is extremely cold? All activities are arranged subject to local weather conditions, which are outside of our control. If there are insufficient levels of snow or ice for reliant activities to operate upon the day of participation, then our suppliers will move all activities to a position where snow is available, adjust tracks accordingly so a modified activity programme can operate or provide alternative activities that are not reliant on snow and ice. Where this happens no refunds will be made. Should temperatures reach an extreme, then modified programmes will operate. We reserve the right to amend or cancel any part of tours or safaris if we or our suppliers consider that conditions are unsafe. These judgements are usually made when the temperature falls below -20°C; a variety of factors may influence decisions. NB: Periods preceding or post extreme weather may be subject to changes in itinerary or operational order. Can anyone drive a snowmobile? On each of our excursions, there will be two passengers per snowmobile, swapping halfway. Driving a snowmobile in Finland is like driving a car, and similar laws apply. A full valid driving licence is required - please ensure you bring this with you as it must be presented in resort. A damage waiver must be signed before commencing the activity. Credit card copies are taken and a €980 excess is payable for any damage, irrespective of severity, prior to departure from resort. Normal traffic laws apply on snowmobile routes. Safety helmets must be worn at all times. All children 15 and under will travel in a sleigh pulled by the guide’s snowmobile. Children 15 and over can ride as a passenger behind a responsible parent/adult, however this is at the guide’s discretion, their decision being final. Parents or guardians will be required to sign the damage waiver on behalf of any children under the age of 18. (Please note this is not a definitive list of instructions and liabilities, further information is available upon request, and will be provided in resort). Will we get to ‘mush’ our own husky dogs? 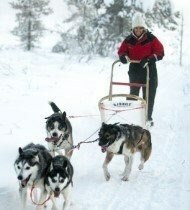 Passengers travelling on a day break will travel in a sleigh pulled by dog teams. On the short breaks, guests over 18 years may have the opportunity to ‘mush’ their own sleds; this is dependent on trail and weather conditions. All participants on our husky excursions will be required to sign a Husky Waiver; parents or guardians will sign on behalf of any children under the age of 18. (Please note this is not a definitive list of instructions and liabilities, further information is available upon request, and will be provided at resort). What do we do with our belongings on a day break? When you collect your thermal suits and boots, you will be given a bag in which you can store your outdoor coats and shoes that you have travelled in. There are no changing facilities available so it is advisable to travel in your base layers. Please ensure you take anything with you that you may require during the day, plus your valuables such as money and passports as there is no secure storage. You will collect your bag at the end of the day when you change out of your thermal suits. Due to the natural environment, toilet facilities may not be widely available but temporary or wilderness toilets will be on hand at activity points. However, we recommend that guests use the facilities in their hotel or other establishments when they are available. What are the hotel ratings and are they suitable for everyone? There is no official rating for the properties in Finland and therefore you will not find any within our brochure. However, all our accommodation is similar to a good standard three-star. We have listed all the facilities available within each property to help guide your selection. Where additional beds are provided, these may be sofa or portable beds. Please note that if accommodation units are filled to their maximum occupancy they may be cramped and storage can be minimal. The operation and supervision of overseas property, transport and other services is subject to local laws, regulations, standards and codes of practice of individual countries. The legal and safety requirements may be of a different standard to that in the UK and the standards imposed will be that of the country you are visiting, not of the UK. How much snow will there be? Snow falls in Lapland between October and May and it is common to find thick snow cover in November and December. However, it is also possible that there may be a period of warmer weather, especially given the effects of global warming, which may cause the snow and ice to melt before the next snowfall. Santa’s log cabin can fit a maximum of seven people in the cabin at any one time. Please be advised that if your group is larger than this, you may need to split up into smaller groups. If you book your holiday with other families but wish to visit Santa in smaller groups, this must be communicated to us at the time of booking or at least two weeks prior to departure. It will not be possible to arrange upon arrival to resort. Can I pre-book seats on the plane? It is not possible to pre-book seats on our flights, but our suppliers endeavour to seat families together. How accurate is the brochure? Details within this brochure are correct at the time of going to press. All excursions and itineraries are subject to alteration and withdrawal in response to local conditions, timings and demand. 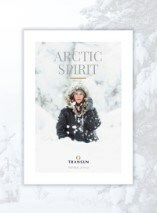 Many of the photographs in our brochure were taken in previous seasons in Karesuando and Hetta. Some photography is for purposes of illustration only. Transun cannot guarantee that the exact scenes will be replicated. We cannot accept any liability for opening times of places of interest during your visit. I’M GETTING READY TO TRAVEL, WHAT INFORMATION WILL I FIND USEFUL? What clothes should we take? To re-iterate, temperatures can reach as low as -40˚C. It is the responsibility of the guest to bring adequate clothing for this weather. Our largest suit size is a 48” chest or approx. size 20 (women’s UK sizing); our smallest suit size is 34” in height. Our largest shoe size is 12 (UK); our smallest shoe size is 8 (UK child). Should a guest be outside the range of this sizing, they will need to purchase their own winter gear for use in Lapland. Thermal suits and boots should be worn at all times when outdoors in Lapland. Should a guest bring their own thermal suits and boots, the responsibility lies with guest to ensure they are suitable for Arctic conditions. Advice on other clothing to bring is provided in the pre-departure information in the ‘My Booking’ section of the website. The currency in Finland is the Euro. All Transun optional excursions are advertised in Sterling; credit and debit cards are accepted as payment for excursions booked in resort. Credit card payments will not incur a charge. Any dietary requirements must be advised at the time of booking; we will pass this request onto the airline and accommodation where applicable, who will endeavour to fulfil your requirements. However, given the remoteness of the locations, this cannot be guaranteed and it is recommended that any passengers with a special request carry some supplies of foodstuffs with them. Can I buy duty free? Finland is part of the EU and therefore you are no longer able to purchase duty-free goods when travelling to Lapland. WHAT CAN I EXPECT IN LAPLAND? How long is the transfer from the airport? Transfer times can vary according to location and weather conditions and are usually between 15 minutes and one hour. Will I be safe in Lapland? The local operators are fully qualified, experienced and safety conscious and their equipment complies with local safety standards. However, it must be borne in mind that the activities are authentically Lappish as we are offering the experience of local adventures. To keep safe, you must ensure you follow the instructions of our guides and exercise caution. Keep in mind that the animal rides are traditional and authentic and use untamed animals. Rides are taken at your own risk, although that risk is very small. Parents and guardians are responsible for the supervision of the children in their party at all times. No one should travel without insurance that covers snowmobiling and husky mushing. What does the real Santa look like? All adults and children know that Santa has special magical powers and is able to do mysterious things like fly round the world in a single evening. He may also appear differently dressed depending on the task he is undertaking and may even have altered his facial appearance to confuse the mischievous elves. We ask all parents to be diplomatic in sharing photographs with other guests and their children. Food on all breaks is basic yet warming and plentiful with child-friendly fare. You should keep in mind that given the remote nature of the location, fresh fruit and vegetables are less plentiful than in the UK. Menus will vary from establishment to establishment. Drinks are not included. Will I have the chance to buy souvenirs? There is a souvenir shop at Enontekiö airport and at some of the hotels. Where time permits, we will arrange to take you to a souvenir shop before returning home. Will I be able to ski while in Lapland? Skiing is not currently available in the wilderness locations that provide the setting for our day or short breaks. Can I smoke in Lapland? The regulations governing smoking in Finland are similar to those in the UK and smoking is not permitted in public places or within any of the hotels. We request that you do not smoke whilst on activities or when in large groups. Please dispose of your cigarette butts in the ashtrays provided. Will I see the Northern Lights in resort? The Northern Lights are a natural phenomenon which is dependent on a number of natural events combining to produce the appropriate conditions. All of our resorts are based in optimal locations, however, we cannot guarantee a sighting of the Northern Lights. Flights: In most cases we charter direct flights on a fast, reliable and comfortable B737, A320/321, or B757. However, flight plans may change before departure and we reserve the right to substitute alternative carriers and/or aircraft types where necessary. Where this situation arises, it is not possible to transfer to another day/short break or cancel without incurring normal cancellation charges (see booking conditions). All of our flights are non-smoking. Airline regulations vary but many will refuse permission to fly for women who will be 28 or more weeks into pregnancy on the date of return travel. Transun operates direct flights but these may occasionally stop to off-load or pick-up clients. A direct flight does not necessarily mean a non-stop flight. Entertainment does not form part of the package with Transun and is entirely at the discretion of the crew. It may sometimes be necessary to substitute an intended destination airport with a nearby alternative and we reserve the right to do so. Such a change would be made with passengers’ safety or enjoyment in mind and would not constitute a ‘major change.’ When you make a reservation, you will be issued with provisional flight times on your booking confirmation and informed of the actual flight times on your departure documents once airport runway slots have been confirmed by the airline. Health & medical care: Finland has reciprocal health care agreements with the UK. This entitles you to emergency medical treatment and to prove eligibility for this treatment you only require a British Passport. Non-British nationals should obtain a European Health Insurance card. Treatment is available either free of charge or for a standard fee, depending on the municipality. Transfer to medical facilities and all costs incurred are the responsibility of the guest, however staff in resort will endeavour to assist and provide advice. The number for emergency services in Finland is 112. Clients who have special diets or are taking regular drugs for heart conditions, diabetes etc, should ensure that they have ample supply, which should be carried with them at all times as well as required foods. 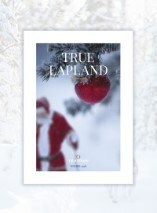 Passport: A full UK passport which is valid on day of return is necessary to travel to Lapland. Non-British citizens should enquire at the Finnish Embassy on 0207 8386200 or www.finemb.org.uk: see terms and conditions for further information. It is now a requirement for all passengers to submit to Transun in advance of travel full and accurate passport information. Failure to do so may result in cancellation of flight ticket.